Have you planned your family getaway for 2019? Though it might have a reputation as a haven for backpackers and party-goers, you can’t go wrong with a family vacation in Thailand. There is so much to see! Featuring sun-kissed beaches, delectable street food, exciting wildlife and hidden islands to explore, we can guarantee that the kids will never be bored. These awesome tips will have you planning your getaway in no time. There are plenty of idyllic locations for families! There are plenty of fabulous destinations in Thailand which are perfect for a family holiday. Krabi, Phuket and Koh Samui are popular destinations – each can be reached in a couple of hours by plane, and each has some beautiful holiday villas to offer – from the most luxurious to the budget and middle priced options! All are home to luscious tropical beaches and offer a gateway for island-hopping. Less popular among backpackers, Koh Samui is an exciting family-friendly choice, blending authentic Thai culture with the comforts of home. 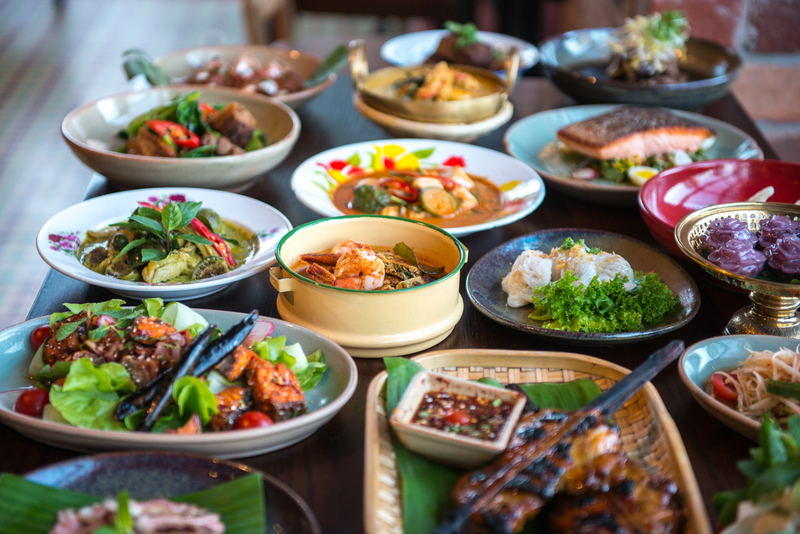 It is perfect for getting a genuine Thai experience – safe in the knowledge that options are available to entertain restless youngsters and feed picky eaters. 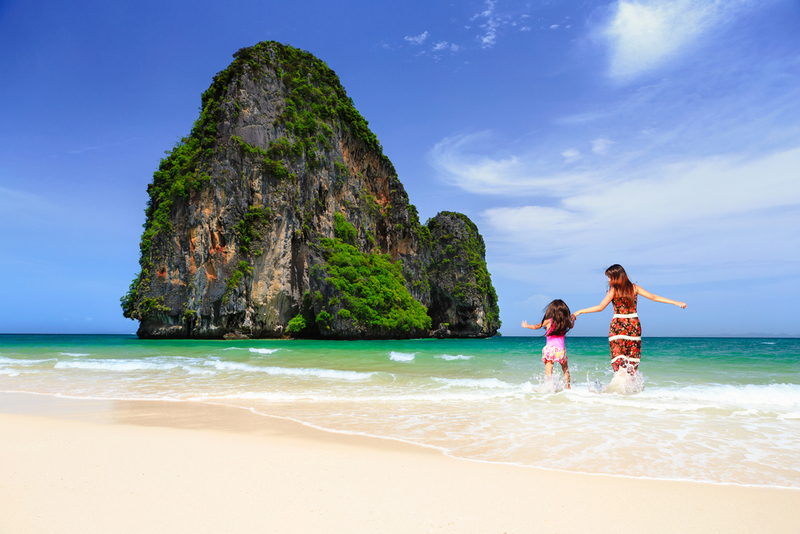 Otherwise, both Phuket and Krabi offer safe places for families to hang out and are both blessed with a wealth of stunning beaches and family activities. There are heaps of things to do in both – elephant sanctuaries, white water rafting, quad-bike hiring, shopping and more! Guaranteed to be hours of entertainment. Songkran (or Thai New Year) is an unmissable event which will be the highlight of your family vacation in Thailand. Every year, locals young and old line the streets to participate in the most exciting festival in the world. It’s guaranteed to be fun! The festival will run between 13th – 15th April 2019, which coincides perfectly with the Easter school holidays. 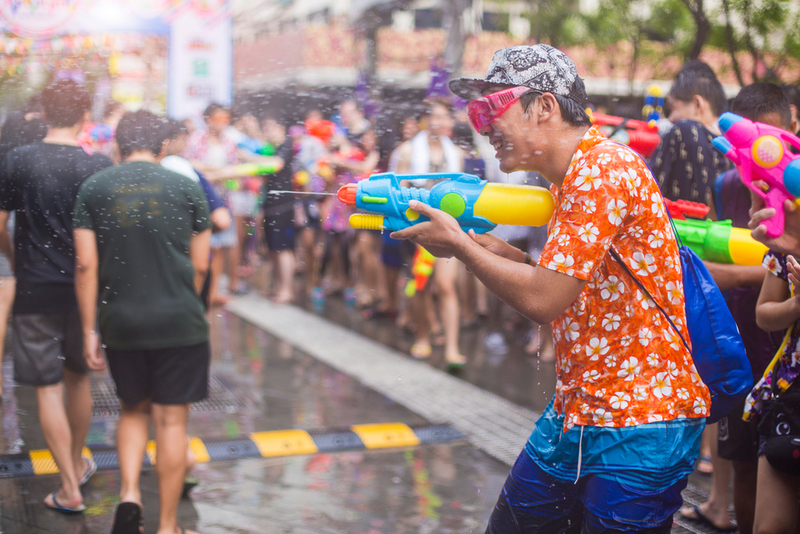 Almost everyone in Thailand has time off to celebrate by watching the fabulous parades, grabbing their water guns and soaking whoever they find. It’s guaranteed to be a crowd-pleaser! Alternative family events in Thailand include WonderFruit, a festival-slash-bohemian paradise which runs every December. A thrilling celebration of music, art and Thai culture, it values sustainability and is totally family friendly! If you’re looking to entertain the family for a few days it’s well-worth visiting. Plenty of tasty treats to discover! 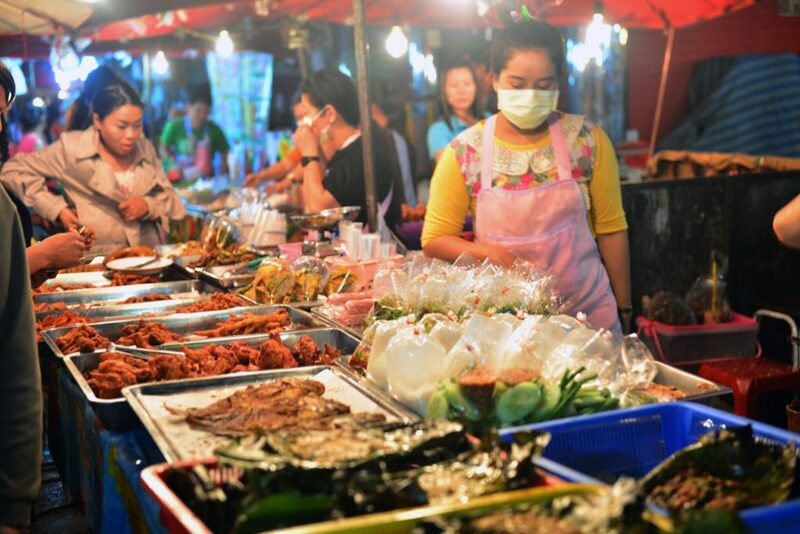 Thailand is an exciting new world of delectable cuisine. From the deliciously simple to the weird and wonderful, there is always something new to try. Not only that, but even the pickiest kids will find something they love! Of course, Pad Thai is an old favourite – a stir-fried noodle dish, typically featuring shrimp, tamarind sauce and tofu. It’s simple yet scrumptious! Moo ping is another option which is sure to be popular with kids. Throughout Thailand you will find street-food vendors selling these skewers of grilled and marinated chicken and pork – they’re tasty and cost next to nothing! For the more adventurous, food markets offer a dazzling variety of seafood, insects and local treats to indulge in. Just remember – try it and you might like it! Rest assured there are westernized restaurants almost everywhere for less adventurous foodies and picky kids. Thailand’s extensive coastline is responsible for more than just the incredible amount of seafood on offer. It’s also a chance to get up close and personal with some marine life! 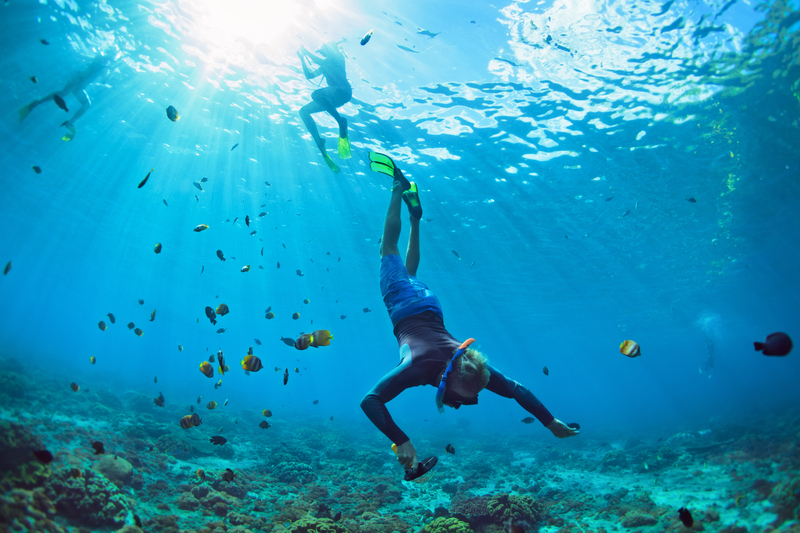 Head down to Koh Samui for some exciting snorkelling and diving opportunities – it’s one of the most thrilling and family-friendly activities in Thailand. If you’re after adventure, diving schools such as Discovery Divers (on the island’s East Coast) offer Bubblemaker courses for under-eights – swimmers over ten can participate in junior diving courses. Snorkelling is also a fabulous way to spend hours down at the beach, discovering a whole new world underwater. You can easily rent from most diving centres, and some even feature snorkelling trips. Look out for Nemo and his friends among the dazzling shoals and vibrant corals! That’s always a great idea! How could a good family vacation in Thailand be complete without visiting a water-park? 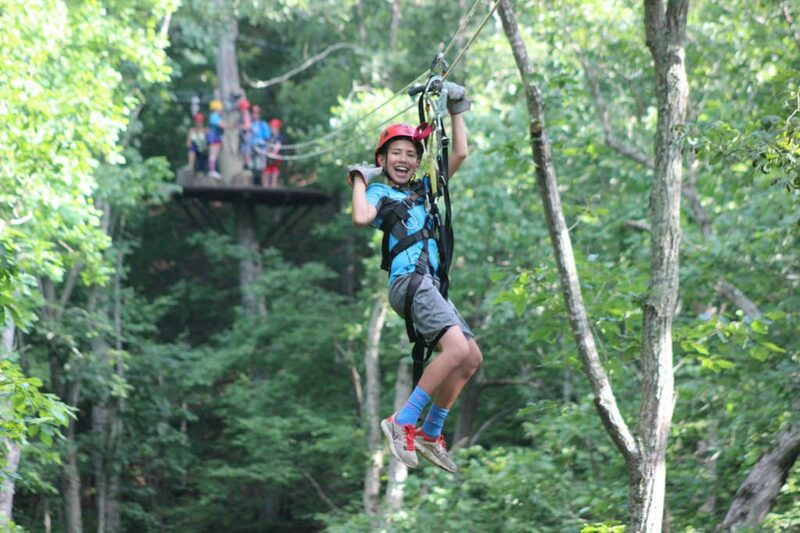 It’s the perfect hit of adrenaline for kids and adults alike! If you’re looking for an exhilarating alternative to splashing around in the beach, you can’t go wrong. Splash Jungle is the perfect place to take younger children if you’re in Phuket. 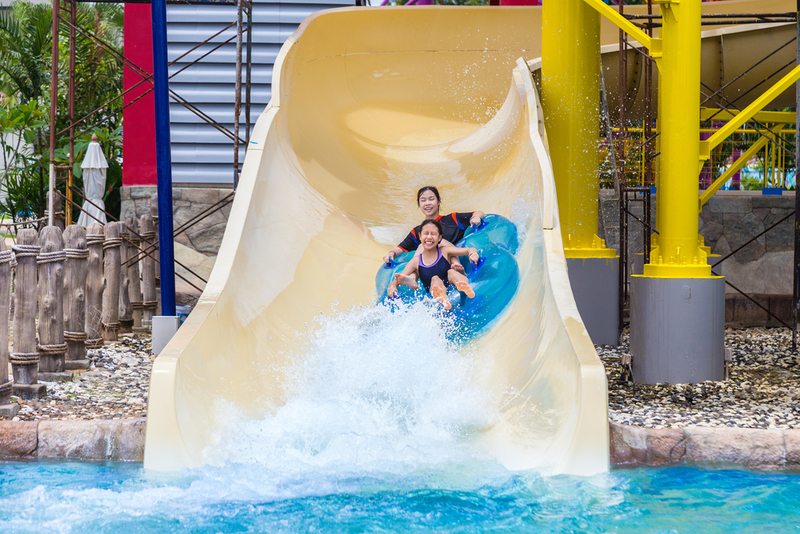 It features slides, rafting, a wave pool, splash parks and much more! There is a great variety of stuff to do and on-site restaurants and bars available are excellent. Even during high-season, you should find that queuing times are reasonable. Prepare to get wet! Trust us – getting up close and personal with elephants is a life-changing experience! It’s the perfect activity for your family vacation in Thailand, and is suitable for all ages. 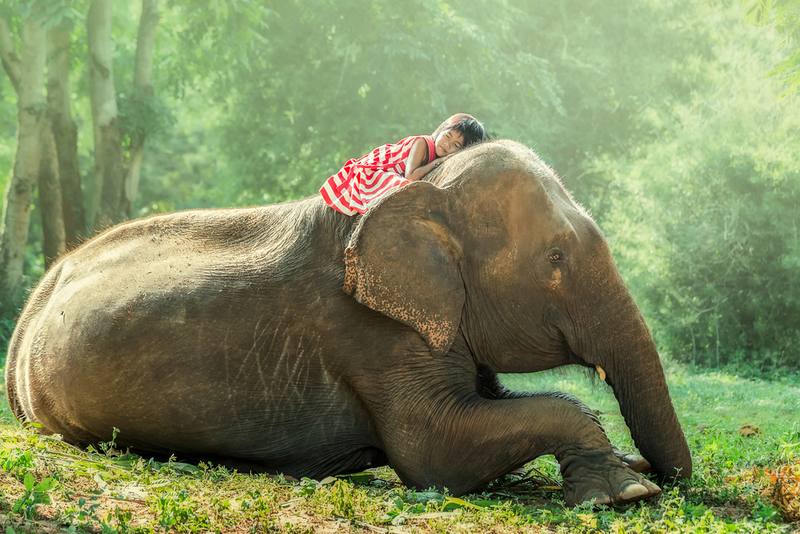 Conservation efforts mean that you can guarantee to find happy, healthy elephants in various elephant sanctuaries, like the Elephant nature park in Chiang Mai. Here, you’ll have the opportunity to feed the gentle giants bananas and sugar-canes as you get to know them. Even the youngest babies are friendly and intelligent! Even a half-day tour offers the opportunity to join the elephants in their very own jungle swimming pool for a splash-around, and you can purchase excellent quality photos for a reasonable price. You won’t regret it! 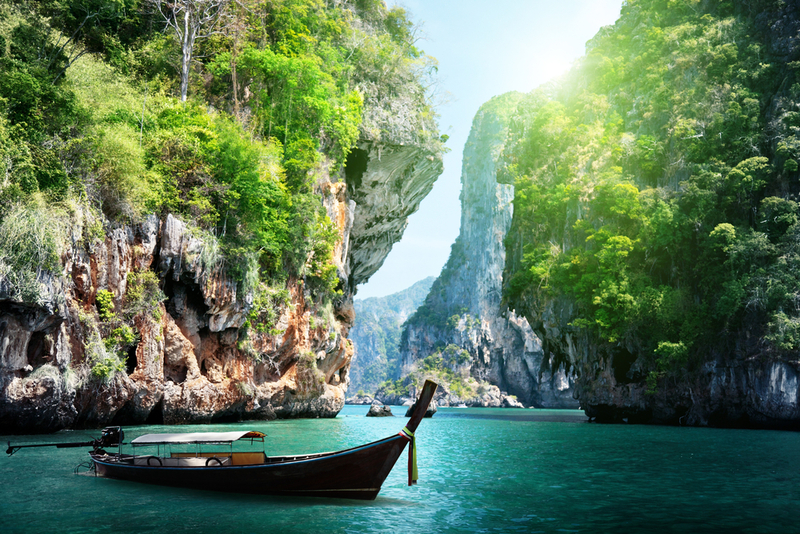 Drag yourself away from the sun-kissed beaches and you’ll find that Thailand is a tropical paradise of exotic jungles. They’re just waiting to be explored! Both adults and kids will appreciate the beautiful flora and fauna, begging to be discovered. If you’re in the area, a visit to Krabi Fun Park shouldn’t be missed. Here, you can zip-line among the tree-tops, wander through the canopy and appreciate the stunning views. Adrenaline junkies can even try their hand at abseiling. It’s a thrilling way to experience some fabulous views. 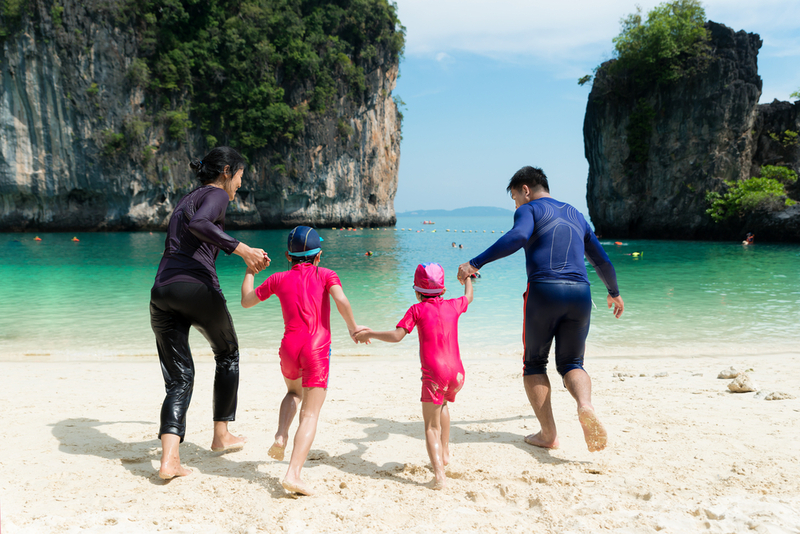 Put it on the list for your family vacation in Thailand – adventure awaits! Ready to try for yourself? Now you’ve enjoyed the local delicacies, why not learn to make them yourself? There are cooking classes almost everywhere, and it’s one of the most family-friendly activities in Thailand. It’s the perfect activity to get you started in Bangkok once you’ve touched down. There are numerous family-friendly cooking schools, but Sompong Thai Cooking School is a cut above the rest! Authentic, warm-hearted and professional, a trip here will be educational as well as enjoyable. For larger families, private classes are ideal – your course includes a trip to market and you get to eat your delicious creations! There are loads to explore. No family vacation in Thailand would be complete without a bit of island-hopping! Sparkling waters, snow-white beaches and beautiful corals await – and there are plenty of family activities. In the east, basing yourself in Koh Samui is a safe bet – a blend of beautiful natural wonders such as Na Muang Waterfalls and crowd-pleasers like AquaPark Samui. The latter, situated on Chaweng Beach, is a giant inflatable playground in the sea, which is guaranteed to keep the kids busy for a few hours. Koh Samui is also the gateway to Koh Tao, a secluded and idyllic island which is still spectacularly unspoiled by tourism. Although there is less in the way of structured activities for little ones, it is the perfect place to splash around and enjoy the scenery in peace, whilst enjoying an authentic taste of island life. Want to read more before booking your family vacation in Thailand? Our Ultimate Guide to Luxurious Traveling in Thailand is sure to give you some ideas! Welcome to Unique Retreats, a curated portfolio of out-of-the-ordinary holiday villas with outstanding concept, design features, location, facilities and services across the globe.